The world has christened them as superfoods but berries have always been a part of the Indian kitchen. 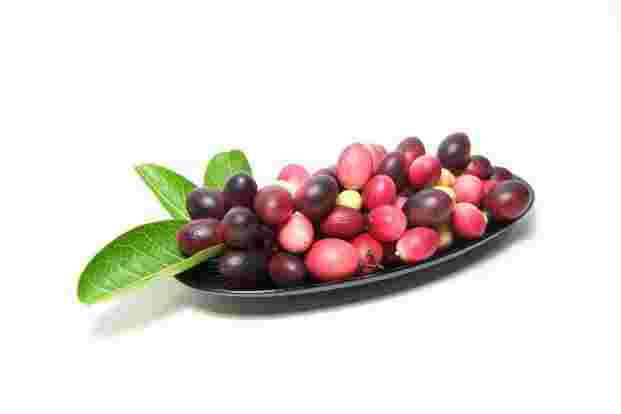 Acai and goji berries may be healthy and full of nutrients but so are amla, jamun, bor and karonda. They are easily available in the market too. Berries, for me, have always been a cherished childhood treat. We could pick them off trees, eat the ones fallen to the ground or, if there was an adult around, ask them to buy us some from the carts in the market. These carts were piled high with different varieties, depending upon the season. There was dried bor (Indian jujube), with its caramel and chocolate notes; ripe jamun (black plum) oozing with colour and staining everything in contact; pale greenish white sour amla (Indian gooseberry); and sweet and squishy mulberries. We track how some of these berries continue to find relevance in Indian kitchens. The ber (called bor in Marathi) is a tiny berry, pale yellow and reddish brown when ripe. Sometimes called the Indian jujube, they are commonly found from October-April. They are typically eaten plain, and contain a large seed. “Bor is sun-dried and added to vegetable preparations, much like you would add olives or sun-dried tomatoes to Western-inspired stews," says Saee Koranne-Khandekar, food writer and consultant. In the UK, food blogger Preeti Deo follows her mother-in-law’s practice of sun-drying berries during spring-early summer to last the summer season. She uses sun-dried bor to flavour methi (fenugreek seeds) or even harbaryachya paalyachi bhaaji (chickpea leaf vegetable). “The dried berries add a caramelized sour taste to a dish. Sun-dried bor is also used in making tangy chutney, and borkut (ground dried bor) is used as a flavouring agent or eaten plain," she says. At The Great Delhi Pop-Up in March, the star of curator and author Anoothi Vishal’s table was phalse (Grewia asiatica). It was served in a basket, meant to be eaten raw or with rock salt. Phalse is a tangy and sweet summer fruit similar in look to a blueberry. It is usually had as sherbet or squash and makes for a cooling, astringent drink. “While growing up, phalse sherbet was a popular drink. It was made by boiling the small berries, removing the pulp and mixing this with rock salt, lime, sugar and water," says Vishal. This summer fruit is commonly used in pickles (if raw) and sherbet (if ripe). Karonda’s (Carissa carandas) colour and ripeness depends on its purpose. Raw, they have a greenish white colour and are used in vegetable dishes; ripe, they turn red or deep purple, and are used for canning, preserving and pickling. Koranne-Khandekar uses the fruit to make pickle, jams and squash. She has fond memories of buying little packets of the ripe karvanda on train journeys to the Konkan in the summers: “They would make the mouth go funny but that was such an integral part of the experience." Vishal uses the fruit as a table condiment. “I sauté it with green chillies, methi (fenugreek seeds), and jaggery and cook it for a little while. This is eaten with rice and dal," she says. Nandita Godbole, author of the two-part cookbook Not For You: Family Narratives of Denial & Comfort Foods, remembers eating the fleshy, greenish white fruit straight off the tree in her maternal grandmother’s home. In her home today, the fruit is used as a souring replacement for amsul (kokum) in curries and fish stews, and in place of lemon juice when making green coconut chutney. “Since they are very small, they are harder to process as the main ingredient for a dish, especially with the seed in the middle. But they are good replacements as souring agent," says Godbole. Larger star gooseberries can absorb sugar syrup and thus can be candied; the smaller ones are firm and tart and easier to eat raw. The star gooseberry is harvested at different times depending on the region. These light orange berries go by many names: golden berries, inca berries or rasbhari (in India). The gooseberries are available only for a short time, from February-May. “The fruit has a papery skin and is like a small marble, sweet and a little sour," says chef Thomas Zacharias of The Bombay Canteen (TBC), Mumbai. These can be eaten fresh, as a healthy snack, or added as a topping in desserts and puddings. At TBC, Zacharias uses dried cape gooseberries in their Hara Chana Salad, with almonds, hara channa hummus and homemade tapioca chips. “We cut them in half, salt them and dehydrate them in the oven so that the flavour and sweetness intensifies. They shrivel up and become brown and have a subtle flavour," he says. Mulberries are a rare crop to find in the market, available in summer months or October-November. 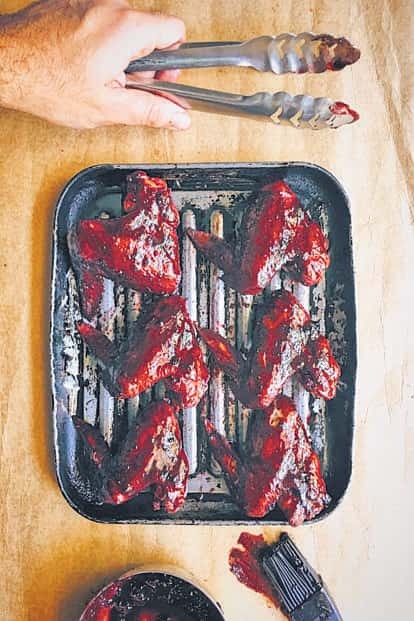 Food blogger and recipe developer Ankiet Gulabani uses their sweet-tart flavour in different ways—muddled in a cocktail, crowning a pound cake, or cooked down to a sticky glaze to add to chicken wings. His favourite is the upside-down cake. “It is a yogurt cake topped with mulberries, which are cooked a little in the oven, giving the cake a sweet, jammy layer," he says. He also makes a barbecue glaze by cooking down a cup of mulberries with crab stock and mixing in ketchup, mustard powder, all-spice and a hint of cinnamon. To this, half a cup of fresh mulberries is added and brushed on to wings and baked. These berries flower in summer months (though sometimes they can be found in the monsoon too). They’re commonly made into a pickle. “They are a little sticky and bitter so we steam them till tender, remove the pit but keep its shape. This is then stuffed with a mixture of grated unripe mango, mustard oil, fenugreek seeds, chillies and masala. It’s a laborious process but a much prized delicacy," says Vishal.